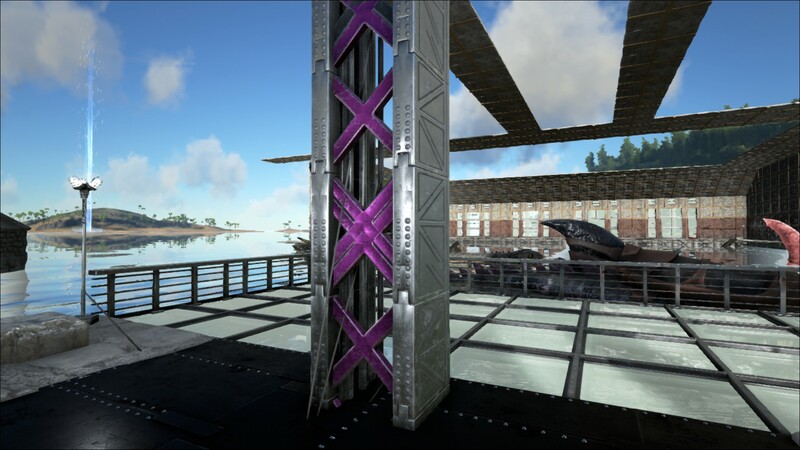 Attach an Elevator Platform to these to complete an elevator! 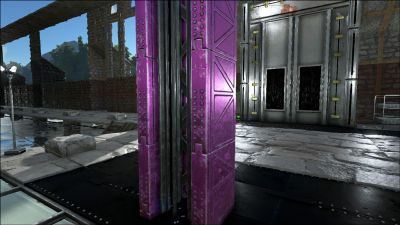 The Elevator Track can be used together with any Elevator Platform to create an elevator to lift players and creatures. As it requires electricity, the Elevator Track needs to be within range of a powered Electrical Outlet in order to function. 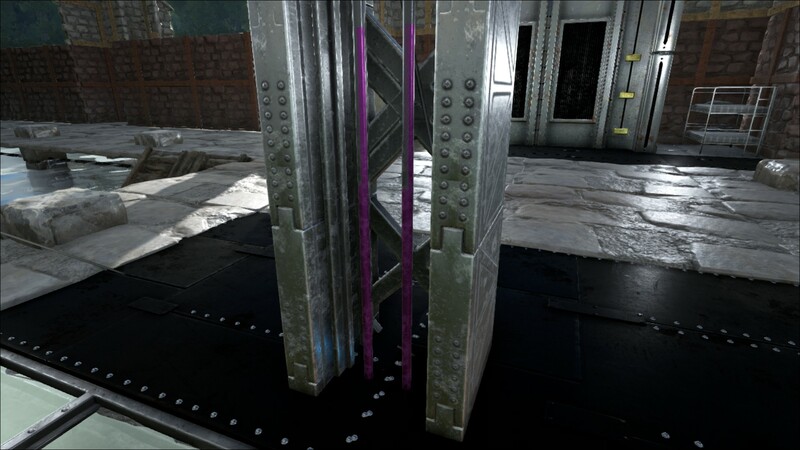 The lowest Elevator Track does not need to be placed on a foundation. But if placed on a foundation, the direction the track faces is dependent on the direction the foundation was laid down, so you must effectively get behind the elevator track to place it, because it will face the other way. Foundations that are snapped to another foundation follow the direction of the original foundation, regardless of direction faced. Succeeding Elevator Tracks then snap on top of lower ones. You can attach any Elevator Platform to the bottom of the lowest Elevator Track. 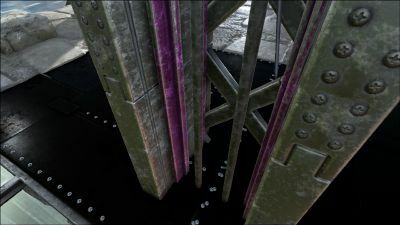 Elevator Tracks cannot be placed on platforms (e.g. 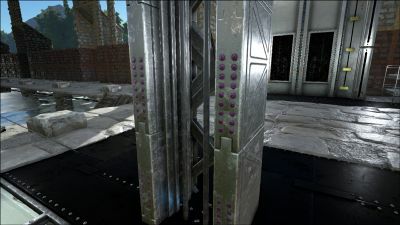 Rafts), and terrain or resources clipping into it can prevent its use.